This Thursday, while The Electric Pickle undergoes renovations. Slap & Tickle takes the party down a few streets south on North Miami Avenue to The Garret. Your not going to want to miss this weeks edition, as OM Records / Smoke N Mirrors champion Edit Murphy adds his unique deep-soulful sound to what's becoming a treasure chest of brilliant gems that Slap & Tickle has brought to Miami. Included are a couple of Edit Murphy's original productions, but be sure to check out his soundcloud for more great remixes. To carry you over till tomorrow night are also two brand new top-notch mixes by Slap & Tickle Dj's, Pirate Stereo and Andrew Ward. 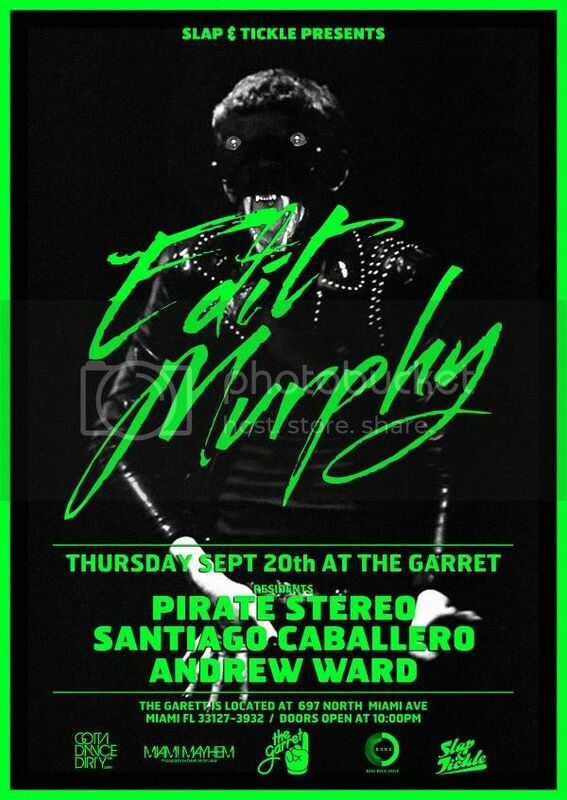 See you tomorrow night at The Garret! 3. The winner will be chosen on Thursday September 20th at 3pm.